As we are considering the basics, we should recognize Mount Fuji’s fundamental role in shaping Japanese culture as we recognize it today. From a foreign perspective, what could be more Japanese than Ninja and meditation, for example? 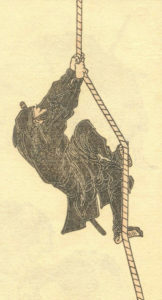 The Ninja (忍者) were spies and mercenaries, generally recruited from the lower classes. 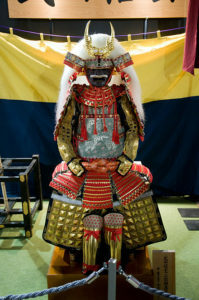 Unlike the Samurai class, they were not bound by strict codes of behavior and, during the Sengoku period (戦国時代), they played a crucial military role, as spies, arsonists, scouts, and so on. 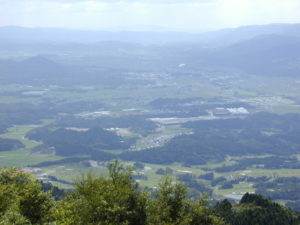 Secluded, mountainous regions provided the training grounds for these fighters, most famously, the hilly areas of modern-day Mie and Shiga Prefectures. 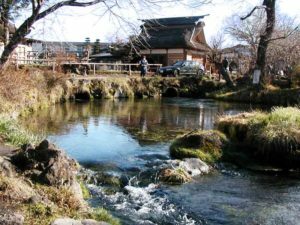 The history of Mount Fuji is best understood as a place of retreat from the ordinary, everyday world. This retreat may have been forced by the need to escape from powerful enemies or by the desire to achieve spiritual enlightenment. Often, those seeking spiritual enlightenment also had to develop their fighting skills in order to survive, so it is difficult to draw a neat line between warrior and holy person. The great warlord of the province of Kai (甲斐; roughly present-day Yamanashi Prefecture), Takeda Shingen, certainly made great use of male and female Ninja. For both fighters and holy men, the retreat to the mountain often brought with it special, perhaps magical, powers. For Ninja, this entailed control over the natural elements, invisibility, the ability to walk on water, and so on. However, magical powers were also gained by those on a spiritual quest that people are still embarked on today. No one knows exactly how Mount Fuji developed from a terrifying volcano into a sacred mountain, but this process occurred as the result of thousands of solitary experiences. Many of these solitary experiences ended in death from starvation or exposure.